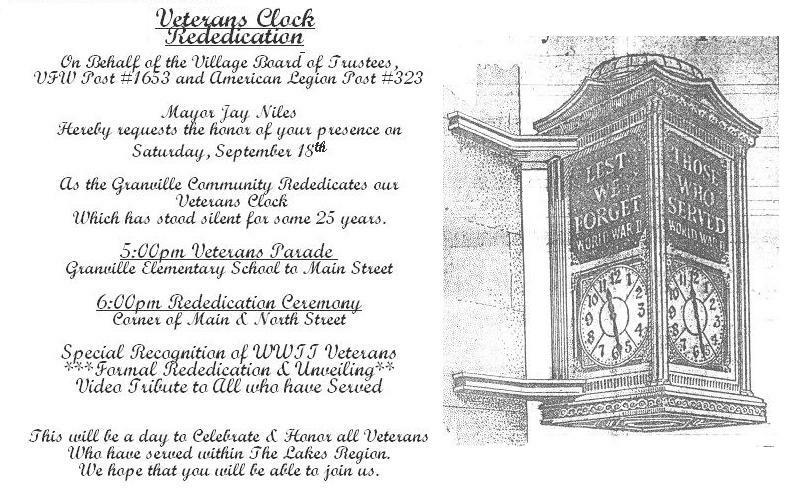 Come celebrate the elimination of Osama bin Laden and show support for our military cadets and their families! Every year the usual lefty suspects try to lower the morale of our military familes by placing flag draped coffins along the roadway leading into West Point. This year they will be particularly incensed because our military eliminated Osama bin Laden. The early start time is to avoid the traffic congestion of the families arriving to attend the graduation as well as provide us time to set up flags and signs to welcome them and express our support. Afghan War Hero Gary Berntsen has come out full force behind David Bellavia, himself a decorated Iraq War hero, in David’s bid to capture the Congressional seat vacated by the resignation of the Republican Party choice, Christopher Lee. I’m writing to you today with an urgent request. In fact, if you were serving beside me in Afghanistan, this would be an order. Please take a moment to read this letter and I will explain. First: I need you to go to www.BellaviaforNY.com TODAY and sign up to help Staff Sergeant David Bellavia collect petitions. Next, I need you to pass this emergency email along to your friends in grassroots, Tea Party and 912 groups. Urge them to join our side in this battle for principle and freedom. We need all freedom-loving defenders of our Constitution to saddle up and ride to NY-26 and help David collect petitions to get on the ballot. He must collect thousands of signatures in Western New York by March 19th to meet the legal deadline. Without you, he cannot. Why the fire mission? I’ll be blunt: the same Erie County Republican leaders who killed my 2010 candidacy for the United States Senate have conspired to push David, perhaps the most decorated combat veteran of his generation, out of the campaign for Congress in New York’s 26th Congressional District. 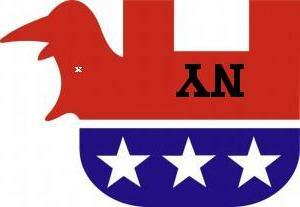 Those shenanigans and that attitude is exactly what is killing the Republican Party. And men and women like David Bellavia, who have risked their lives for our nation, can help us bring dignity and honor to the Grand Old Party and restore sanity to our nation’s capital. As you may know, I am a 27-year veteran of the military and the CIA’s clandestine service. I was decorated for my service as a combat commander of a team of CIA and special forces in Afghanistan. Many Americans forget 2001 and the terrorist attack on America. But I know you don’t forget, and you remember the intensity of the battles immediately after. We were in the thick of it, behind the lines. When you’ve served in combat, you share a unique and unexplainable kinship with men and women who also risked their lives in hard-fought battles. I’ve gotten to know Army veteran David Bellavia, and I want to tell you something: he is the real deal. David and his men risked their lives to clear Hezbollah fighters out of Fallujah one house at a time. David Bellavia is one of those exceptional and honorable Americans who proudly steps forward to serve his nation. His heroism in Iraq is well documented. You can read more in Time Magazine here, and watch a Youtube video of his hand-to-hand combat here. But let me warn you: this Web video is graphic and disturbing – because war is not a debutante ball. David is not seeking public office because he is rich and bored. He is a bedrock conservative running on principle, honor and integrity – three core values he learned and exhibited on the deadly battlefields of Iraq. You see, while his opponent was hosting glamorous house parties, David was fighting house-to-house against an enemy lying in wait to ambush Americans. While his opponent was showing up for work in a comfortable job at a family company, David was leading a platoon of men who were fighting and dying for our nation. While his opponent was inheriting millions, David was kicking down doors, taking heavy fire and fighting in brutal hand-to-hand combat in squalid bombed out houses booby-trapped to blow his men into a million pieces. David was awarded the Silver Star for his actions during the Second Battle of Fallujah and the Bronze Star, three Army Commendation Medals, two Army Achievement Medals and the New York State Conspicuous Service Cross, our State’s highest award. David has been nominated for the Medal of Honor and the Distinguished Service Cross. In 2005, he was inducted into the New York Veterans’ Hall of Fame. As a civilian, David has been an active and loyal Republican. He co-founded Vets For Freedom, a national organization that helped seat ten veterans into the House of Representatives. Together, with other like-minded veterans, he built a vast network of young conservatives poised to lead the Republican Party for generations to come. Vets for Freedom played a major role in the 2008 national election. David and his co-founders raised and spent millions of dollars on twelve states that certainly turned the tide in tough races and stopped the hemorrhaging of Republican seats in others. From our desert battlefields to our continuation of duty at home, David made sure veterans like Congressman Allen West of Florida made a difference in the Republican Party. David ran for this same nomination in 2008 against the eventual Congressman, millionaire Chris Lee. When Chris Lee and our decorated combat hero became the last two in Republicans in contention, David met with Erie County Republican Party bosses. “It’s not your time,” they told him. For the good of the Party, David decided to bow out of a bitter primary to allow Chris Lee a clear sail into the House of Representatives. David not only stepped aside, he did something no other primary candidate did for Chris Lee or the Republican Party: he actively supported Chris Lee. We all know how that worked out for Western New York – Chris Lee was forced to resign. Now, David needs your help. Party bosses are cutting off all volunteer forces who could help him gather his petitions. Without your assistance – maybe volunteering for one afternoon, an evening or a weekend – he will never collect the signatures of registered voters required to make the ballot. David has fought for our country, just as you have been so active in restoring our Republic. 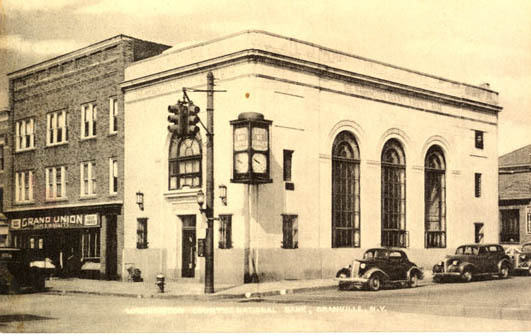 Please sign up to volunteer at http://www.BellaviaforNY.com or email David at FireMission@BellaviaforNY.com. I am calling this Fire Mission Bellavia. We must all respond as we work together to save our nation. There is no more important battle in the next ten days. Principle. Honor. Integrity. We need more of it in Congress, and here’s your chance to make that happen. PS: Please join this effort yourself, but also pass this email along to your grassroots contacts to assure all true Patriots know to ride to the sound of the guns in Western New York! In a move eerily reminiscent of the NY 23 fiasco between Doug Hoffman and Dede Scozzafava, the western NY GOP committeemen have selected a pro-abortion RINO to run for the open NY 26 Congressional District. This is the second time the GOP leaders have ignored the request of the hero Iraq War veteran David Bellavia to run for that seat. The stage is being set for another three way race in New York with a conservative being pitted against a RINO and a Democrat socialist. Rus Thompson a Buffalo Tea Party Activist is interviewed here. 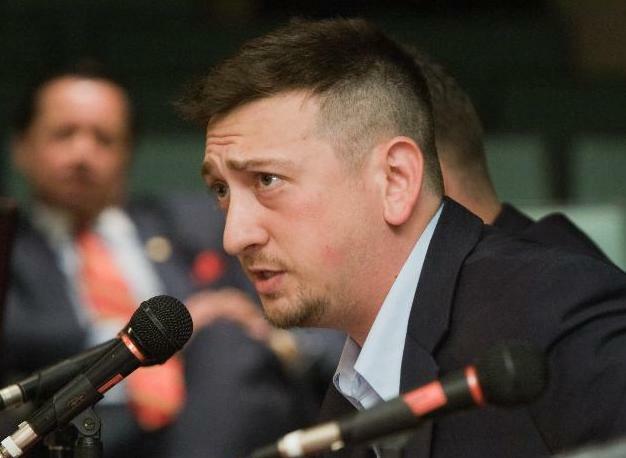 David Bellavia, Iraq Vet, Silver and Bronze Star recipient, author of the book “House to House” about his experiences in the Battle of Fallujah, has thrown his hat into the ring to replace former Congressman Lee who resigned recently. 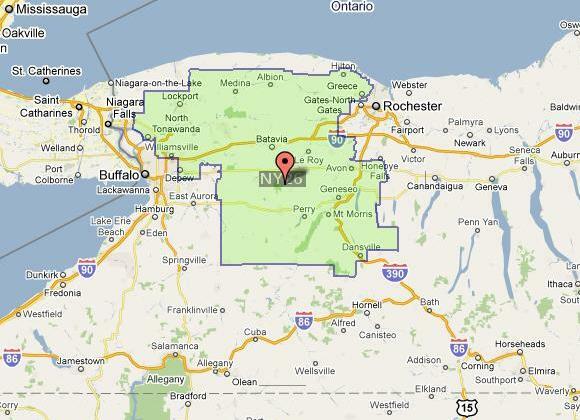 The 26th Congressional District stretches from Rochester to Buffalo. David ran for this seat in 2008 but was defeated by entrenched Republican operatives. A brief bio is here. David Bellavia is a good man. He is being supported by Iraq Vets for Congress where you can make a contribution. ‘Tis the Season..For Troop Support! With the Holidays fast approaching, we’d like to remind everyone to do a little something for our troops serving overseas and far away from their families and loved ones. 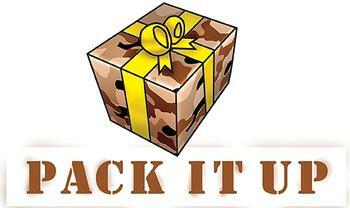 Visit the latest troop support operation listed to see how you can help! Or visit our list of groups in New York State for others! Mickey Clark, a Vietnam Vet, is taking the lead in setting up a Veterans for Becker group in New York’s 4th Congressional District. Contact Mickey at 516-536-6990. Please check in your local races to find out if they have a veterans group supporting your candidate. 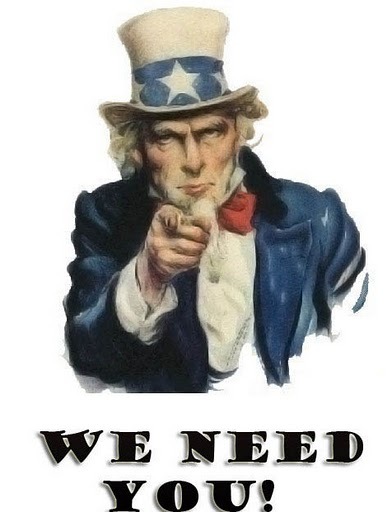 If so, join and help out! If not, contact the campaign and see about forming one! We need all hands on deck to fight for freedom this election! All through 2009 and into 2010 they have turned out. Streams of Patriots from small towns and hamlets in the dozens, hundreds, thousands and eventually millions on 9-12 to take our country back. This year the Tax Day Tea Party is sweeping New York State once again. Updated 4/15/10 – Lets get out there and Party! Click on the map to access the Google Map with specifics on each location including those added after this image was taken. There are three Tea Party Express Stops (Red) in New York State this year, Buffalo, Syracuse and Albany on April 12th and 13th. Green markers indicate events on April 15th. Blue markers indicate events on Saturday April 17th. Many more will take place in smaller locations throughout the state. If we get word of them beforehand we will post their information on the map. Come out and join your fellow patriots and start our March to November! Erstwhile Conservative Icon Sean Hannity managed to screw a true hero in March. UPDATE: Lt. Col. Labate asks for a cease fire on Sean Hannity! Meet Lt. Col. Stephen Labate, U.S. Army Reserves, Iraq War Veteran and candidate for congress in New York’s 2nd Congressional District. Labate, a staunch conservative, was the front runner, with strong Tea Party support, for the Republican nomination when Hannity stuck his foot into the middle of the process to suggest that his friend, John Gomez, would make an ideal candidate for that district. Hannity admits that he had no idea of the situation on the ground or who was running before getting involved. In effect he made a mockery of the title of his new book “Conservative Victory”. The feckless Republican leaders, with visions of Sean Hannity fundraisers dancing in their heads, decided that they would select Hannity’s friend as their nominee. Now the district is going to be convulsed with a needless primary because of Sean’s vanity. We call upon other veterans to boycott any book signing appearances with Sean ‘Vanity’ Hannity for his disregard of the Tea Party Movement and his blind blundering into the affairs of his own congressional district. 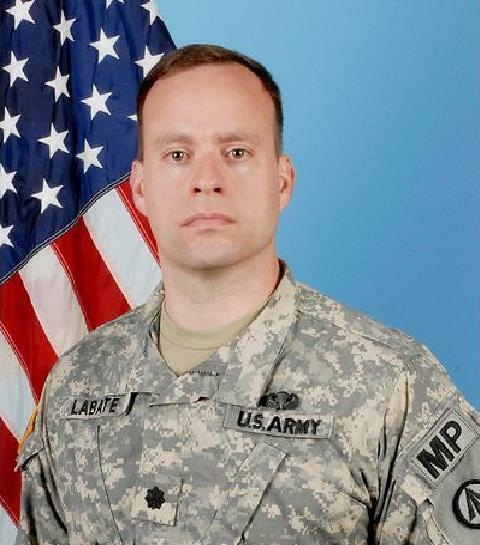 While you’re at it, why not participate in the MoneyBomb for Lt. Col. LaBate!